The skilled craftsmen, equipment and management to get the job done right. 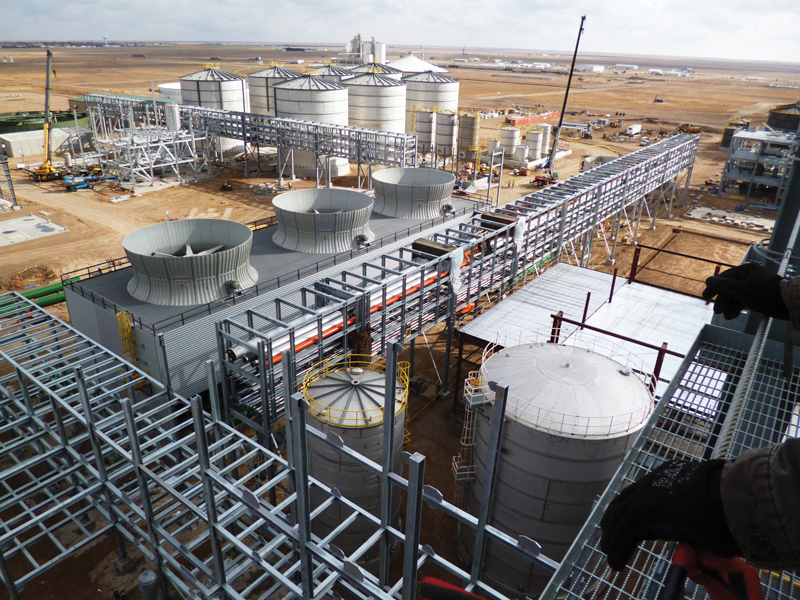 No matter the size, scope or location of the project, GRP Fabrication has the ability to expedite your fabrication into production. 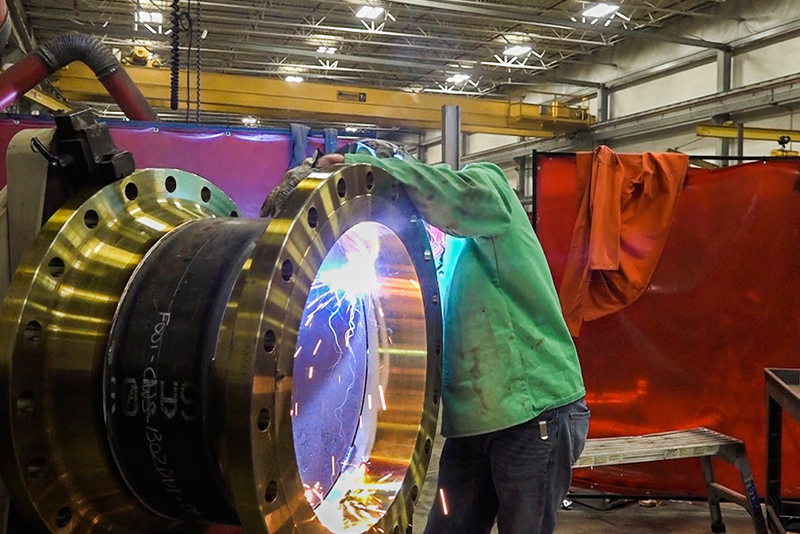 From our 21,600 square-foot, environmentally controlled facility that is equipped with the latest in welding technology, we have the capability to handle pipe up to 80 feet in length and 60 inches in diameter. We specialize in high-tech alloy welding with 159 procedures in all grades of carbon steel, stainless steel and chrome. The key to it all is our highly trained, skilled and certified work force combined with GRP’s QA/QC measures allowing us to deliver quality fabrication on time and on budget with the best value offered to our clients. No job is too big. No project is too small. We have the ability to manage up to 30 skilled craftsmen on multiple shifts to assure that we always deliver to our customer’s requirements. Each of our 13 welding bays are fully equipped with welding machines, a 1-1/2 ton davit hoist, fit-up tables, bulk gas connections, wire feeders and positioners. In addition, our overhead dual rail crane and all-supporting equipment provide the most economical completion of each job. Wherever you are located, GRP Fabrication is right for you. 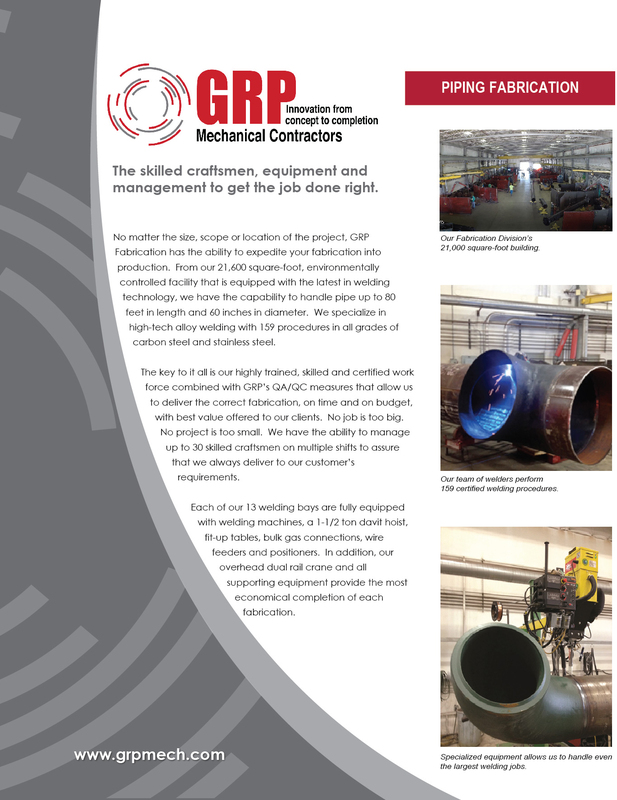 From GRP’s central location in Bethalto, Illinois, we have the ability to serve the fabrication needs of clients throughout the lower 48 states. Our extensive experience in commercial and heavy industrial piping systems combined with our relentless attention to detail and never-ending quest to exceed customer expectations will guarantee your satisfaction.